Peter, formerly called Simon, from Bethsaida in Galilee, was a son of Jonas and a brother of Andrew, by whom he was brought to Christ. After the great draught of fishes, when our Lord said to him and Andrew: Follow me, and I will make you fishers of men, Peter followed the Saviour constantly, from whom he received the most tender proofs of love. Peter was present when Christ appeared in His glory on Mount Thabor, when He raised the daughter of Jairus to life, and when He sweat blood in the agony on Mount Olivet. Peter was also present at the miraculous draught of fishes, which was a figure of the multitudes which he was to bring, by means of the holy Gospel, to the kingdom of God, for Christ called him a fisher of men, and afterwards, because Peter recognized and professed Him to be the Son of the living God, Christ named him Peter, made him the head of the apostles and of the entire Church, made him His vicar and visible representative upon earth, promising to build His Church upon him as upon a rock, gave him the keys of the kingdom of heaven, and commanded him to feed His lambs and His sheep. Peter loved our Lord above all things; because of his love he wished to remain with Christ upon Mount Thabor to prevent Him from suffering, and in his love desired to die with Christ. He certainly showed the greatest courage when Christ was taken, following Him even into the house of Caiphas. But alas, the instability of man! There Peter three times denied the Lord. But the look of forgiving love which Jesus .east upon him, forced from him tears of the deepest contrition. He atoned for his denial by suffering much for Christ. Under the Emperor Nero he was crucified for his faith at Rome, and by his own request with his head downwards, because he did not consider himself worthy to die like Christ. Oh! that all sinners would seek by such penance to turn their evil into good! PRAYER TO ST. PETER. O God, who from a poor fisherman hast made St. Peter prince of the apostles and head of Thy Church, we beseech Thee through his intercession to make us true lambs of Thy flock. Grant, that we may hear his voice, follow his doctrine, and walk in his steps, until we reach that happy pasture where the Good Shepherd, Thine only-begotten Son, Jesus Christ, whom St. Peter represented on earth, reigns with Thee and the Holy Ghost forever. Amen. Would that we loved Jesus as St. Paul loved Him, then we would, like St. Paul, be ready to do and suffer much for Him. PRAYER TO ST. PAUL. O St. Paul, chosen vessel of the Lord, who didst carry the name of Jesus to kings and heathens, who didst suffer so much for Christ, and wast never allured from the love of Him: like a brave soldier of Christ, thou hast fought a good battle, a zealous teacher, thou hast preached far and wide the true faith, and the just and merciful God has, therefore, rewarded thee with the crown of justice: pray to God for me, that I who because of my sins am an instrument of wrath, may become an instrument of honor, adorned with the Christian virtues, with which thou art already decorated. Through Jesus Christ our Lord. The Introit of the Mass consists of Peter’s words, spoken after his deliverance from the prison at Jerusalem: Now I know in very deed that the Lord hath sent his angel, and hath delivered me out of the hand of Herod, and from all the expectation of the people of the Jews. (Acts xii. 11.) Lord, Thou hast proved me, and known me: Thou hast known my sitting down and my rising up. (Ps. cxxxviii.) Glory be to the Father, &c.
COLLECT O God, who hast sanctified this day by the martyrdom of Thy blessed Apostles Peter and Paul: grant unto Thy Church, that as from them it received the first teachings of religion, so it may in all things follow their holy precepts. Thro’. &c.
EPISTLE (Acts xii. 1 — 11.) in those days, Herod the king stretched forth his hands to afflict some of the Church: and he killed James the brother of John with the sword. And seeing that it pleased the Jews, he proceeded to take up Peter also. Now it was in the days of the azymes. And when he had apprehended him, he cast him into prison, delivering him to four files of soldiers to be kept, intending after the pasch to bring him forth to the people. Peter therefore was kept in prison. But prayer was made without ceasing by the Church unto God for him. And when Herod would have brought him forth, the same night Peter was sleeping between two soldiers, bound with two chains: and the keepers before the door kept the ^prison. And behold, an angel of the Lord stood by him, and a light shined in the room: and he striking Peter on the side, raised him up, saying: Arise quickly. And the chains fell off from his hands. And the angel said to him: Gird thyself, and put on thy sandals. And he did so. And he said to him: Cast thy garment about thee, and follow me. And going out, he followed him, and he knew not that it was true which was done by the angel: but he thought he saw a vision. And passing through the first and the second ward, they came to the iron gate that leadeth to the city: which of itself opened to them. And going out, they passed on through one street, and immediately the angel departed from him. And Peter coming to himself, said: Now I know in very deed that the Lord hath sent his angel, and hath delivered me out of the hand of Herod, and from all the expectation of the people of the Jews. EXPLANATION I This Herod, a grandson of Herod the Great,, under whom Christ was born, and who murdered the holy Innocents, was a zealous Jew, and to please the Jews persecuted the Christians. He caused Peter to be imprisoned with the intention of having him publicly executed after Easter, for the amusement of the people. — How shameful it is to do wrong, to murder a man in order to amuse others! See how deeply the desire to please can lead into error! Take care to commit no sin for the sake of pleasing others; for he who seeks to please men cannot be a servant of Christ, says the Apostle Paul. II. 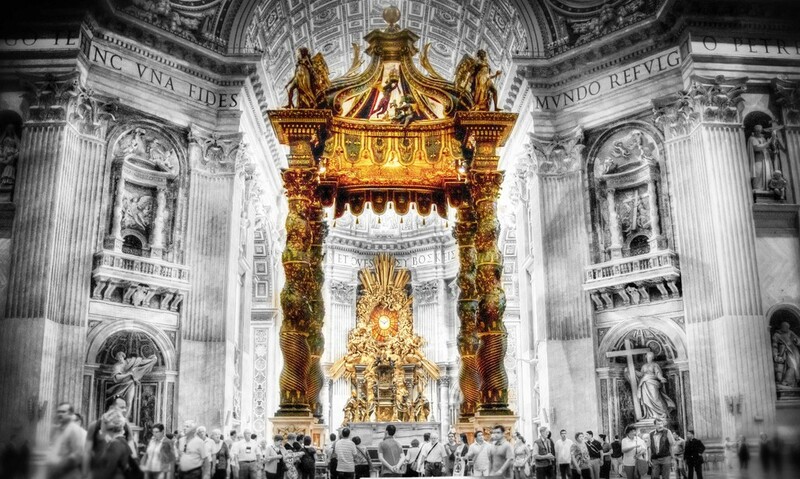 The Church, that is, the priests and the faithful, prayed to God continually for the liberation of St. Peter, and their prayers were heard. — Let us pray for one another, especially for sinners, that God may free them from the chains of the evil one. III. Peter slept quietly in prison, for his conscience was at peace, and he confided himself to God’s protection. — The innocent are calm in every peril and need, the bad alone have no peace. IV. God sent an angel to Peter, who told him to rise quickly, gird himself, put on his sandals, and follow him. — If thy guardian angel warns thee to rise from the sleep of sin, do so at once, return to thyself, like the prodigal son, break the bonds that bind thee to sin, gird thyself with the strong resolution to sin no more, put on thy shoes, that is, make the firm purpose to follow Christ. 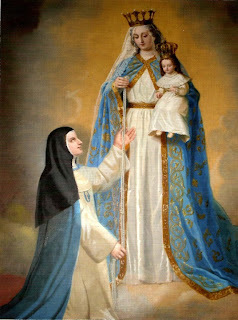 A Blessed Solemnity of Sts. Peter and Paul to all my readers! May St. Peter and St. Paul intercede of the Church of Rome, ravaged by Modernism. This entry was posted in Catholic, Uncategorized on June 29, 2017 by damselofthefaith. Imperative for the life of a Catholic is a fervent devotion to the Most Sacred Heart of Jesus, the Heart that lived and died for mankind. This Divine Heart that so loves man is reviled and persecuted in return, causing his heart to continuesly grieve for the state of the world that abandoned Him, His Law and the Church. A prime example of this in our day is June hailed as “Pride” Month by the sodomites who engage in their despicable revelry at their parades by mocking the natural law. Penance and reparation. These two save the world. Consecrating ourselves, our families, our parishes give a sweet balm to the Heart of Jesus, who still sees Faith on the earth in the hearts of those devoted to offering the greatest love, worship and reparation to His Most Sacred Heart. Most sweet Jesus, Redeemer of the human race, look down upon us humbly prostrate before Thine Altar (outside a church or oratory say: in Thy presence). We are Thine, and Thine we wish to be; but to be more surely united to Thee, behold, each one of us this day freely dedicates himself to Thy Most Sacred Heart. Many, indeed, have never known Thee; many, too, despising Thy precepts have rejected Thee. Have mercy on them all, most merciful Jesus, and draw them to Thy Sacred Heart. Be Thou King, O Lord, not only of the faithful who have never forsaken Thee, but also of the prodigal sons who have abandoned Thee; grant that they may quickly return to their Father’s house, lest they perish of wretchedness and hunger. Be Thou King of those whom heresy holds in error or discord keeps aloof; call them back to the harbor of truth and the unity of faith, so that soon there may be but one fold and one Shepherd. Be Thou King of all those who even now sit in the shadow of idolatry or Islam, and refuse not Thou to bring them into the light of Thy kingdom. Look, finally. 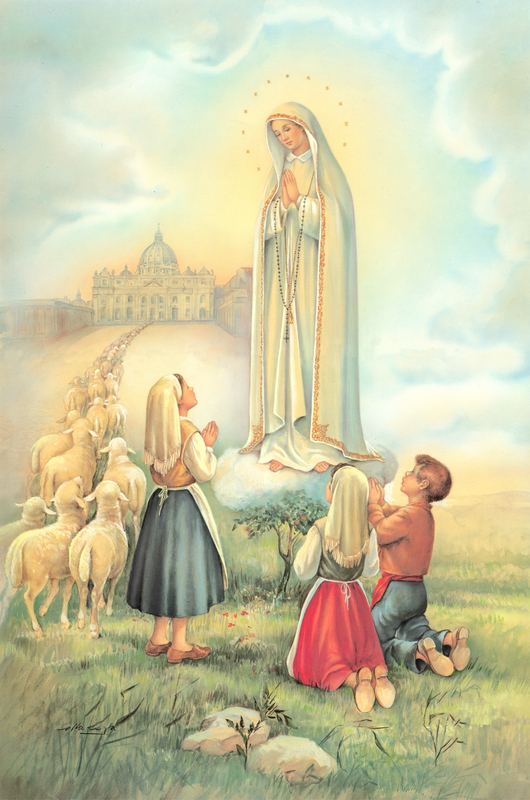 with eyes of pity upon the children of that race, which was for so long a time Thy chosen people: and let Thy Blood, which was once invoked upon them in vengeance, now descend upon them also in a cleansing flood of redemption and eternal life. 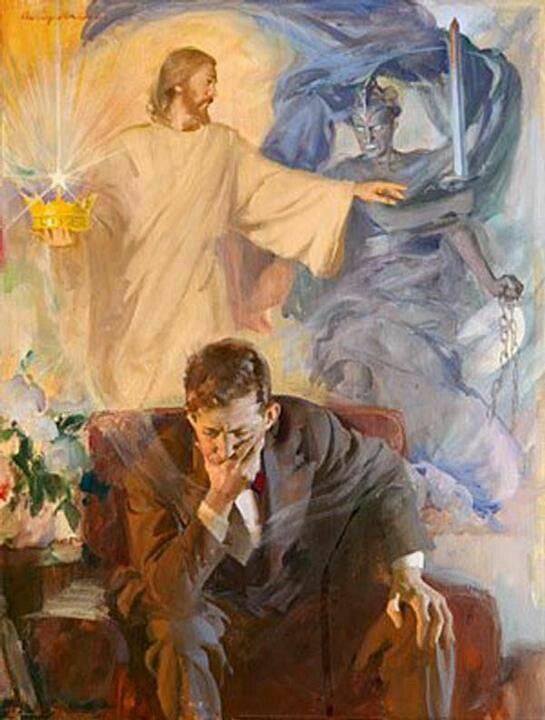 Grant, O Lord, to Thy Church assurance of freedom and immunity from harm; unto all nations give an ordered tranquillity; bring it to pass that from pole to pole the earth may resound with one cry: Praise to the divine Heart that wrought our salvation; to It be honor and glory for ever and ever. Amen. This entry was posted in Sacred Heart of Jesus and tagged Sacred Heart on June 27, 2017 by damselofthefaith. 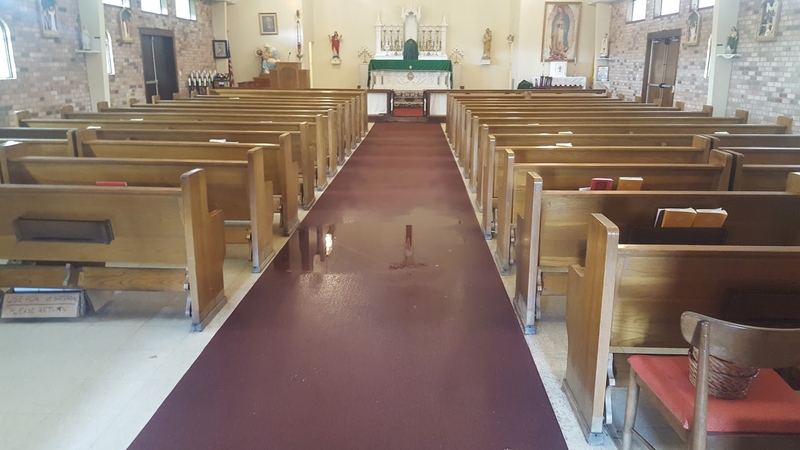 On April 7th, Traditional Feast of the Seven Dolors of Our Lady of Sorrows, who is our Patroness, we returned to our parish church from an extremely early morning Mass graciously granted to us by a local funeral home, after the dreadful flood of August 2016. Palm Sunday was joyfully celebrated with a glorious High Mass, for all the blessings and graces that God bestowed upon us. Our patience and perseverance has definitely been rewarded, for our parish is even more beautiful, for the worship of God and the dispensation of grace through the sacraments, that happens within these walls. The backdrop of the Sanctuary has been painted a light blue and the floor in the entire church is a marble white tile, that makes all of the features of the church look stunning. Other upgrades include a small room for a bookstore and the attic has been transformed into catechism rooms and an office. Our parish may not be a great cathedral but the simplicity of God’s faithful is just as beautiful as Notre Dame, for Jesus Christ dwells in St. Peter’s Basilica just as well as he does in a small hut in Africa. As long as the faithful give their best to God, he blesses them in the most unexpected ways. 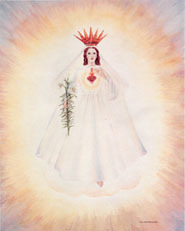 We continually ask the intercession of Our Lady of Prompt Succor, especially during hurricane season, to spare us from future tragedies, to our homes and churches. This entry was posted in Our Lady of Sorrows Church and tagged Our Lady of Sorrows Church on June 23, 2017 by damselofthefaith. Mongolia, one of the smallest countries in the world is beginning to thrive in Catholic tradition. The Society has just established a parish on June 11th, that four years ago, was comprised of three souls. Where two or three are gathered for Christ’s name and the sake of the True Faith, there Christ is in their midst, blessing their fruits and making them prosperous, as is evident with the growth of the Church in Mongolia. Here is the Society’s detailed article which can be found here. Mongolia is one of the least populated countries in the world. A land of deserts, steppes, and mountains, Mongolia is three times the size of France, with a population of under three million people. It is also a country that has experienced major social upheavals, especially since 1989 and the fall of the Soviet Union. When their independence was declared, only 27% of the Mongols were living in the capital, Ulaanbaatar. Today, almost half the population lives in Ulaanbaatar, and about 40,000 more people move there every year. Christians, all confessions included, represent only a little over 2% of the population: most of the inhabitants follow the practices of Tibetan Buddhism, with a mixture of shamanic beliefs. The Catholic Church in Mongolia suffered greatly at the hands of the Communist dictatorship. When the regime collapsed in 1991, official statistics indicated that there were simply no Catholics in the country. In 1992, the Fathers of the Congregation of the Immaculate Heart of Mary came from the Philippines and changed that state of affairs. One of the most restrictive conditions that applies to all foreign organizations present in Mongolia —including the Catholic Church— is the obligation of including a minimum percentage of Mongolian employees in their staff. 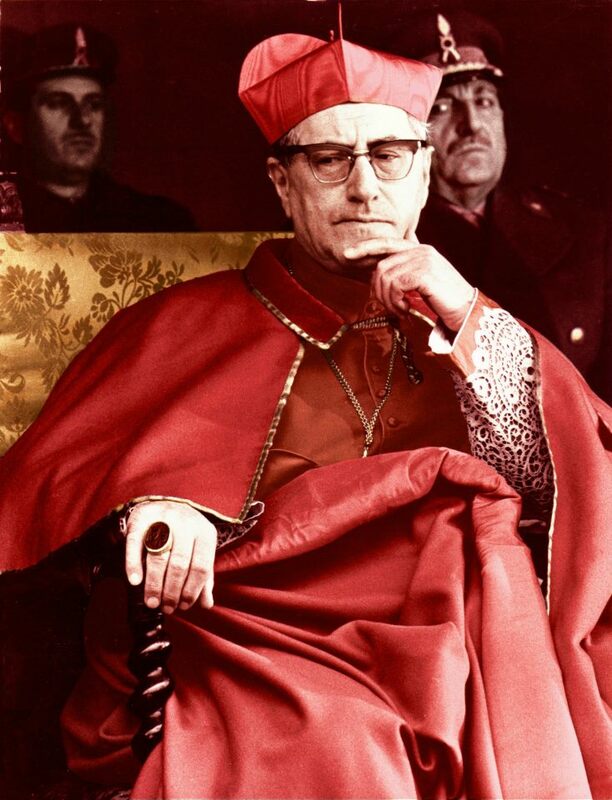 The Catholic Church remains an exception, for unlike almost all other religious organizations that have the status of non-governmental organizations and 95% of whose staff must be native employees, it obtained permission for a minimum of 75%. In this very restrictive context, a new parish was just established on June 11, on the Solemnity of the Most Blessed Trinity. The Church of Divine Mercy in Erdenet, about 150 miles the north of Ulaanbaatar, was blessed by the Apostolic Prefect, Bishop Wenceslao Padilla. It is one of three new parishes to be created for the 25th anniversary of the Catholic presence in Mongolia. The community of the Divine Mercy parish was born in 2013, when a Congolese missionary, Fr. Prosper Mbumba, of the Congregation of the Immaculate Heart of Mary, began saying Mass for…only three baptized Catholics then living in the city! The goal was to accompany these persons in their faith, and not “leave them like sheep without a shepherd,” declared the priest, who at the time was in charge of a preschool for disadvantaged children, run by his Congregation since 2002. “Gradually,” he continued, “the community began to grow, because the three lay faithful started bringing friends, relations and neighbors. Since 2015 the community has been gathering every Sunday and we had the idea of requesting institutional recognition. In 2016, the Holy Year of Mercy, the local government granted legal status – which is necessary – for this Catholic community. 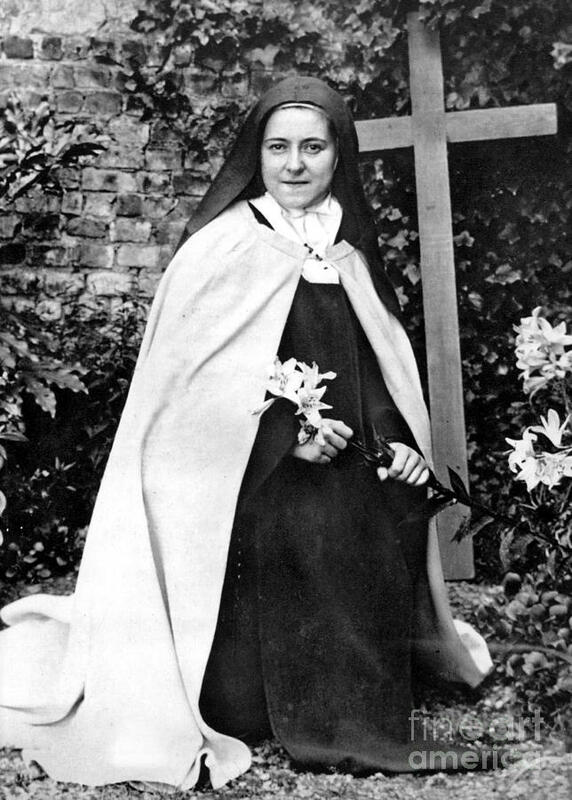 This is why our community decided to take as its name and holy patron Divine Mercy. Fr. Prosper Mbumba is now the first parish priest, and on the occasion of that celebration, a new member, an adult, was baptized and received the sacrament of the Eucharist. The parish has already celebrated six baptisms and a marriage, and many young people and adults are attending catechism classes. “The Catholic Church in Mongolia, with its 1,300 baptized Catholics and a native priest, looks forward to the future with confidence,” Fr. Mbumba concluded. 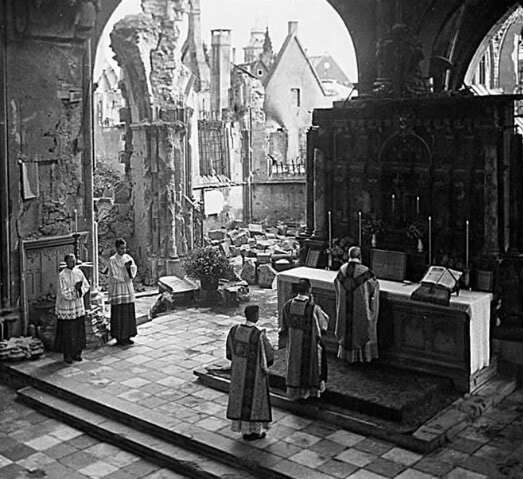 May these Catholics one day discover the true Mass and all the treasures of Tradition! 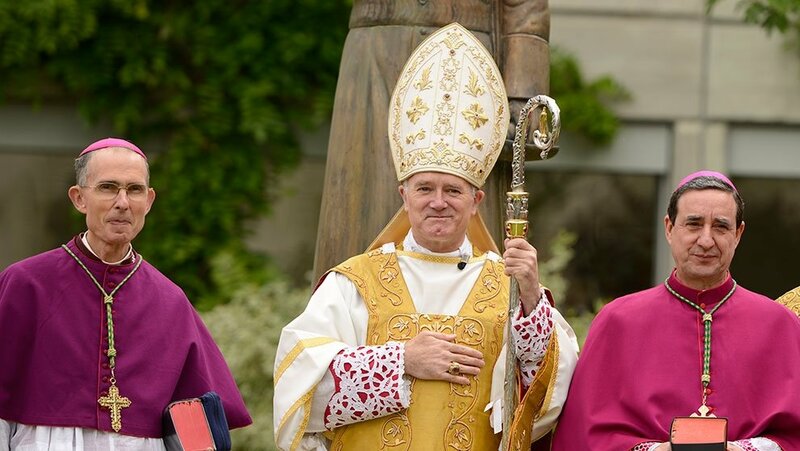 This entry was posted in SSPX and tagged SSPX on June 21, 2017 by damselofthefaith. A slice of a brilliant moon, representing the life of the Church, was darkened, signifying the absence of a Feast to honor the Body and Blood of Christ. 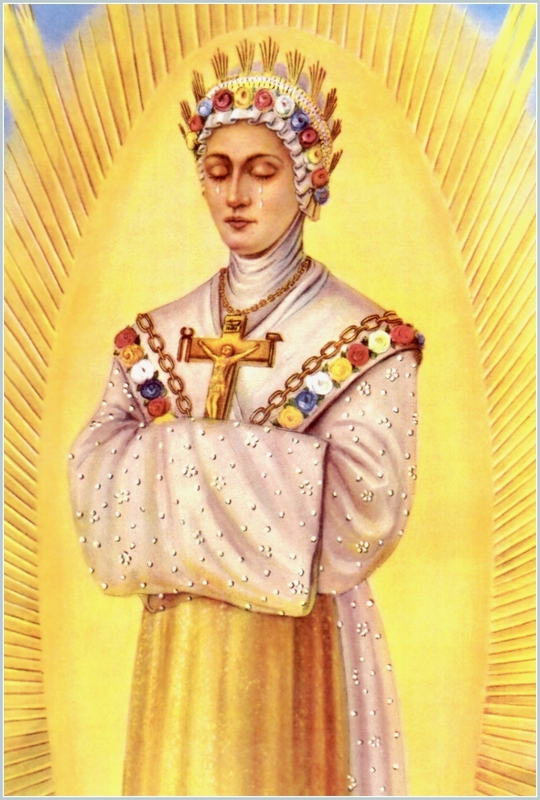 This was seen in a vision by the Norbentine nun responsible for the establishment of this Feast, St. Julianna of Liege. The Bull, establishing the Feast, was written in 1264 by Pope Urban IV, which I post below. This Feast was instituted for the universal Church, by the great hand of the good God through His Vicar, as a reminder to us to worship the ever present reality that is the presence of God in a visible form, the form of bread and wine. 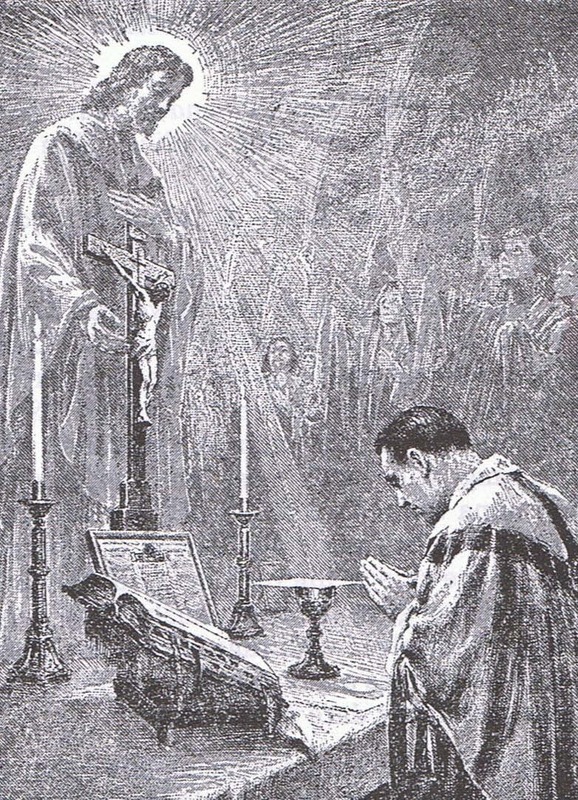 We would need to be exhorted to have a great love and an understanding as far as our human minds are capable of this great mystery that daily is oblated upon the altar of sacrifice, for the Blessed Sacrament would come under vicious attack in the near future after the institution of this holy Feast, firstly by the Protesants, who like those disciples who walked away from Our Lord at the mere mention of eating His Body; secondly, by those heretics within the Church from all time that denigrated the Blessed Sacrament; in modern times, by those Modernists, who having known what the Holy Eucharist is, have rejected it outright and encourage others to commit sacrilege against His Precious Body by receiving Him in the hand, not telling the truth about receiving in the state of mortal sin, by relegating the Holy Mass to a meal of bread. As we celebrate this great Feast, let us make reparation for the crimes and sacrileges committed against the Blessed Sacrament throughout all time, especially in these modern times. Let us give all praise, honor and glory to the Most Blessed Sacrament today and forever! About to pass from this world to the Father, our Saviour the Lord Jesus Christ, since the time of his Passion was at hand, instituted the great and wonderful Sacrament of his Body and Blood, bestowing his Body as food and his Blood as drink. For, as often as we eat this bread and drink this cup, we announce the death of the Lord. 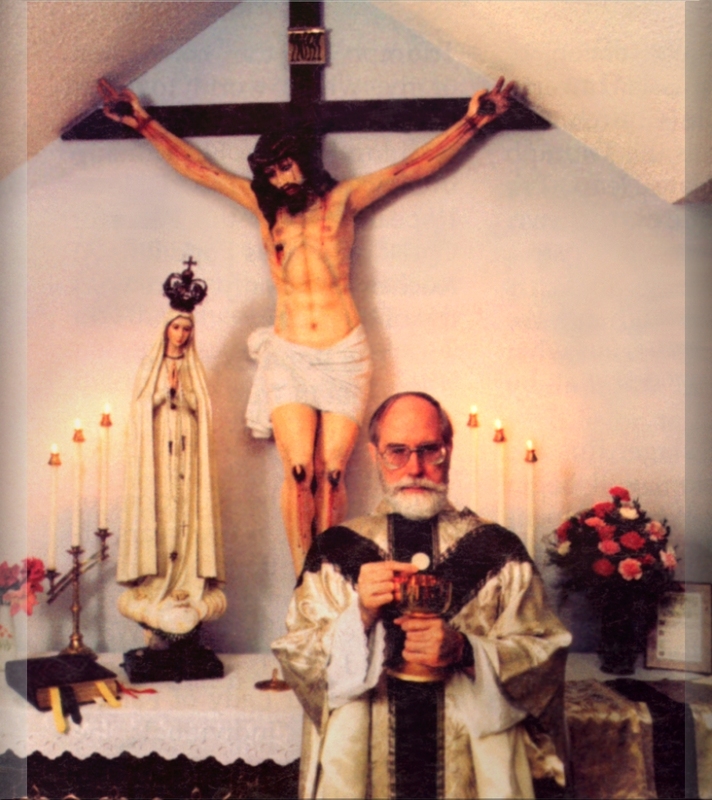 Indeed, at the institution of this Sacrament, he himself said to the Apostles: Do this in memory of me: so that for us the special and outstanding memorial of his love would be this venerable Sacrament; a memorial in which we attain the corporeal Presence of the Saviour himself. Other things which we remember we embrace spiritually and mentally: we do not thereby obtain their real presence. However, in this sacramental commemoration, Jesus Christ is present with us in his proper substance, although under another form. 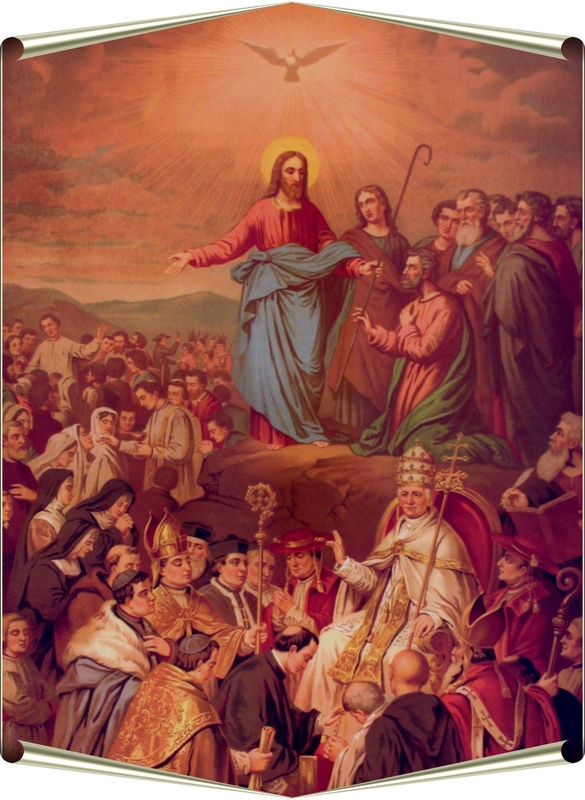 As he was about to ascend into heaven, he said to the Apostles and their helpers, I will be with you all days even unto the consummation of the world. He comforted them with a gracious promise that he would remain and would be with them even by his corporeal presence. Therefore he gave himself as nourishment, so that, since man fell by means of the food of the death-giving tree; man is raised up by means of the food of the life-giving tree. Eating wounded us, and eating healed us. Thus the Saviour says, My Flesh is real food. This bread is taken but truly not consumed, because it is not transformed into the eater. Rather, if it is worthily received, the recipient is conformed to it. We should celebrate continuously the memory of this memorial, because the more frequently his gift and favour are looked upon, so much the more firmly are they kept in memory. 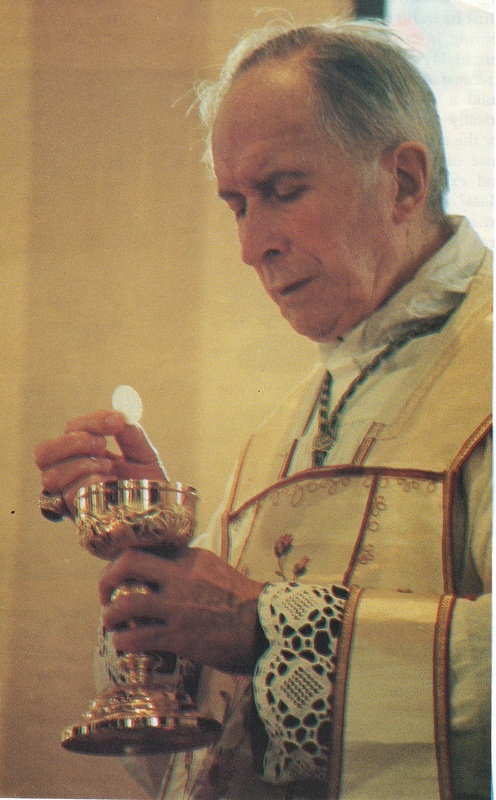 Therefore, although this memorial Sacrament is frequented in the daily solemnities of the Mass, we nevertheless think suitable and worthy that, at least once a year – especially to confound the lack of faith and the infamy of heretics – a more solemn and honourable memory of this Sacrament be held. 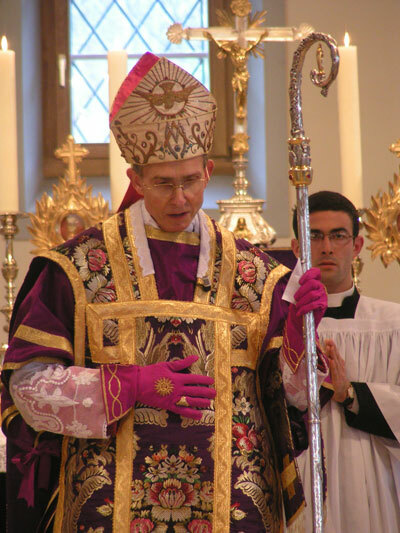 This is so because on Holy Thursday, the day on which the Lord himself instituted this Sacrament, the universal Church, occupied with the reconciliation of penitents, blessing the chrism, fulfilling the Commandments about the washing of the feet and many other such things, is not sufficiently free to celebrate so great a Sacrament. Moreover we know that, while we were constituted in a lesser office, it was divinely revealed to certain Catholics that a feast of this kind should be celebrated generally throughout the Church. 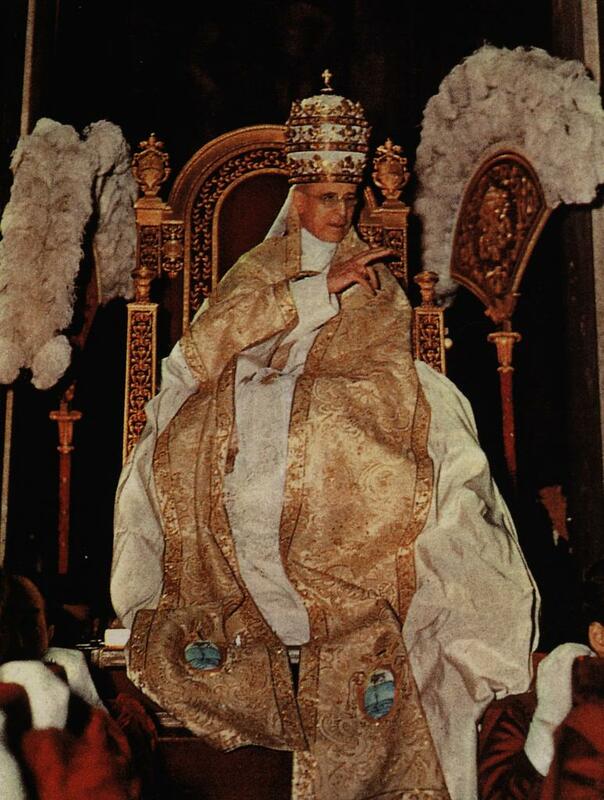 Therefore, to strengthen and exalt the Catholic Faith, we decree that, besides the daily memory that the Church makes of this Sacrament, there be celebrated a more solemn and special annual memorial. Then let the hearts and mouths of all break forth in hymns of saving joy; then let faith sing, hope dance, charity exult, devotion applaud, the choir be jubilant, and purity delight. Then let each one with willing spirit and prompt will come together, laudably fulfilling his duties, celebrating the Solemnity of so great a Feast. This entry was posted in Corpus Christi, Holy Eucharist and tagged Eucharist on June 17, 2017 by damselofthefaith. This entry was posted in Uncategorized on June 15, 2017 by damselofthefaith. God is not God without man? True, God became a man and was united to our human nature by the Second Person of the Blessed Trinity. Jesus Christ did so out of love for our souls and to save us, not because His Divinity in the Godhead depended on us. God is infinite perfection. He created us out of His goodness and love so that we might one day share in His eternal happiness and perfection. This sole true God by His goodness and “omnipotent power,” not to increase His own beatitude, and not to add to, but to manifest His perfection by the blessings which He bestows on creatures, with most free volition, “immediately from the beginning of time fashioned each creature out of nothing, spiritual and corporeal, namely angelic and mundane; and then the human creation, common as it were, composed of both spirit and body [Fourth Lateran Council]. This heresy to me seems to be a form of pantheism, which puts God and the world on par with each other as one. The Syllubus of Errors condemned the idea that we are all gods, subject to one another, bringing the Supreme God down to our level, dependent on us for His Divinity and Rights. 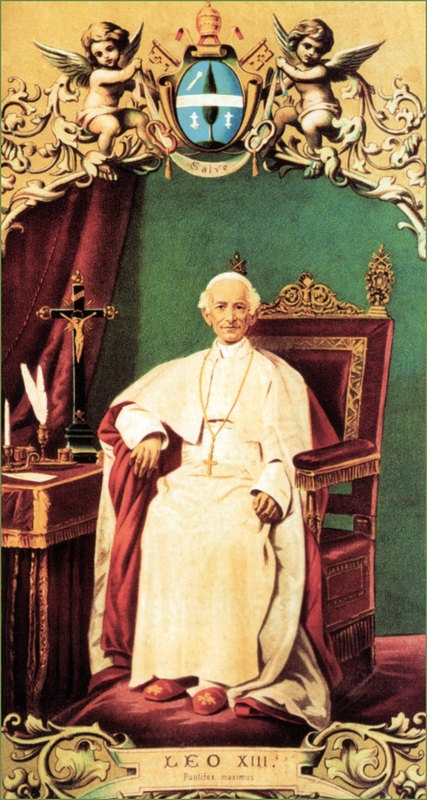 Is it any wonder that Pope Leo XIII proclaimed that we need to hear more of the rights of God and not man? 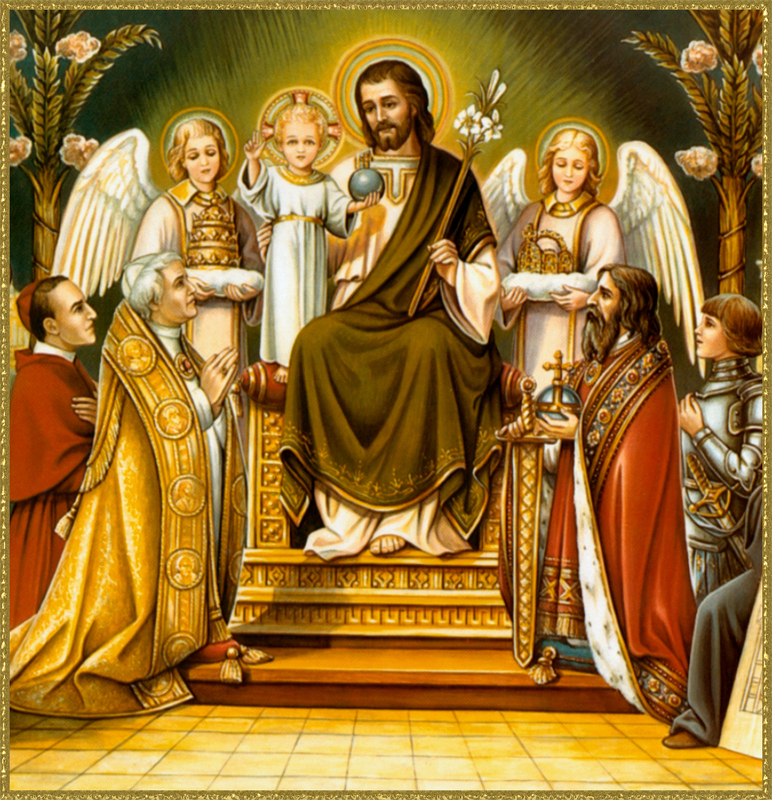 Alas, we all are well aware that Christ the King was dethroned from His Church, while the whims and wishes of modern man are glorified, extolled and encouraged. These words of the Pope are just yet another fruition of the Modernism that has ravaged the Church this past century. If not for God, the entire world and all the souls in it would disappear instantly. It’s not vice versa. 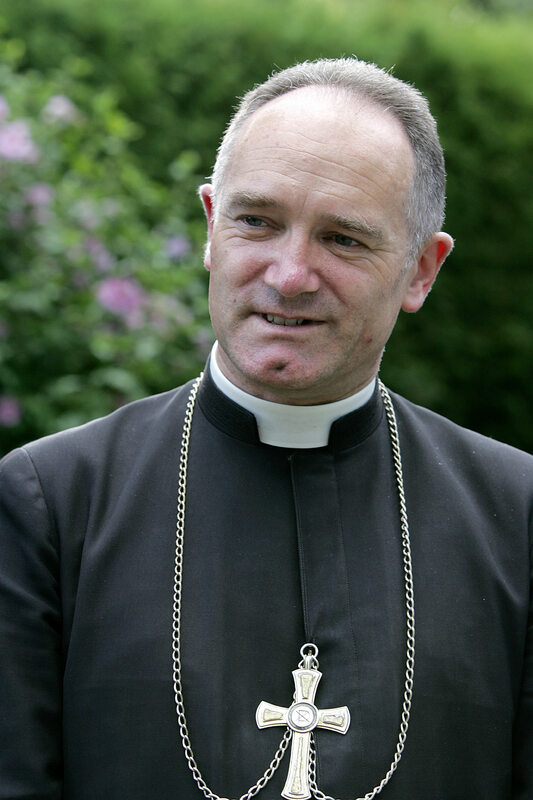 The Holy Father should go back to seminary, a Catholic one that is and learn the religion, instead of spouting off every opinion of his from his personal magisterium. 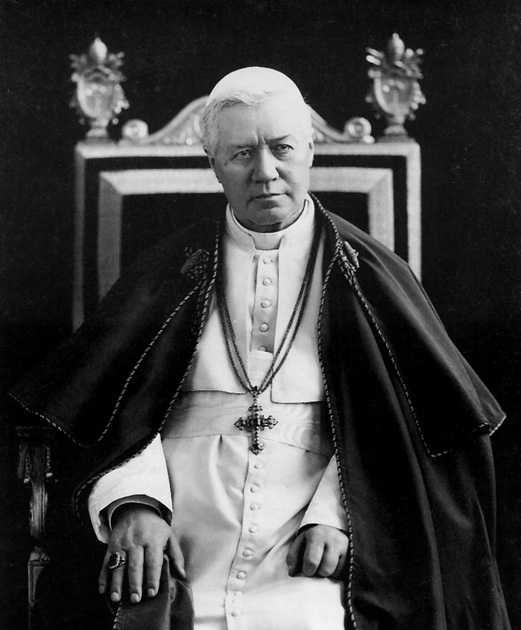 May the Holy Trinity open his eyes from the Modernist poison that he has been a victim of and convert him to the Catholic Faith so that his words and guidance will save souls and be a bulwark of the truth. This entry was posted in Church crisis and tagged Crisis in the Church on June 12, 2017 by damselofthefaith.